Can you believe it’s already time for kids to go back to school? 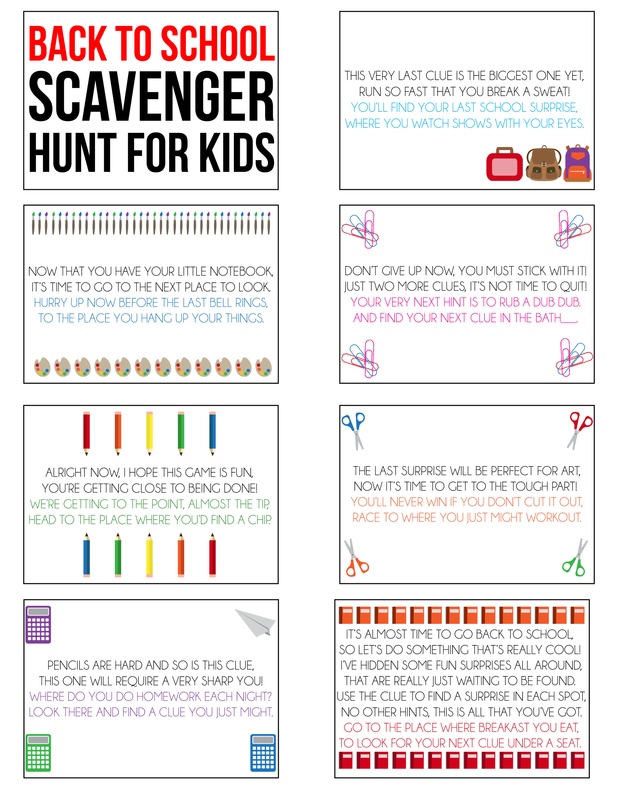 Whether your kids are already back in school or heading back soon, they’ll love this welcome back to school scavenger hunt. 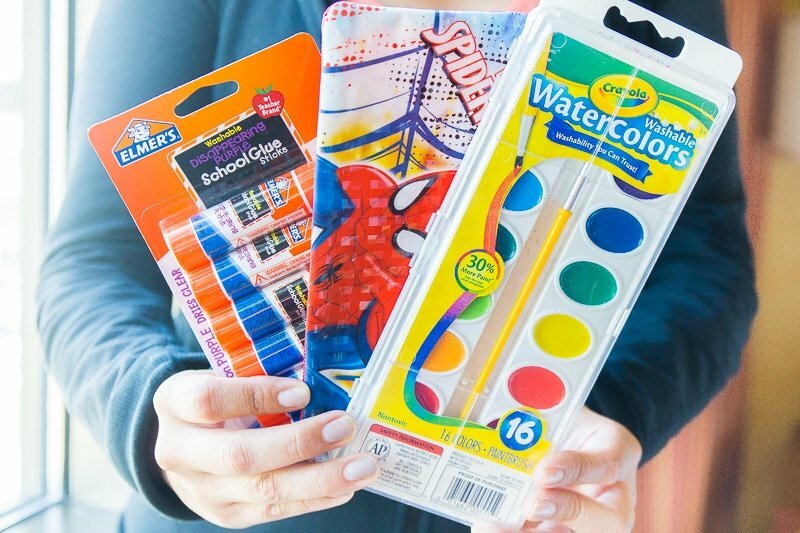 It’s a simple way to celebrate going back to school by giving your kids school themed surprises that they can use in the classroom! 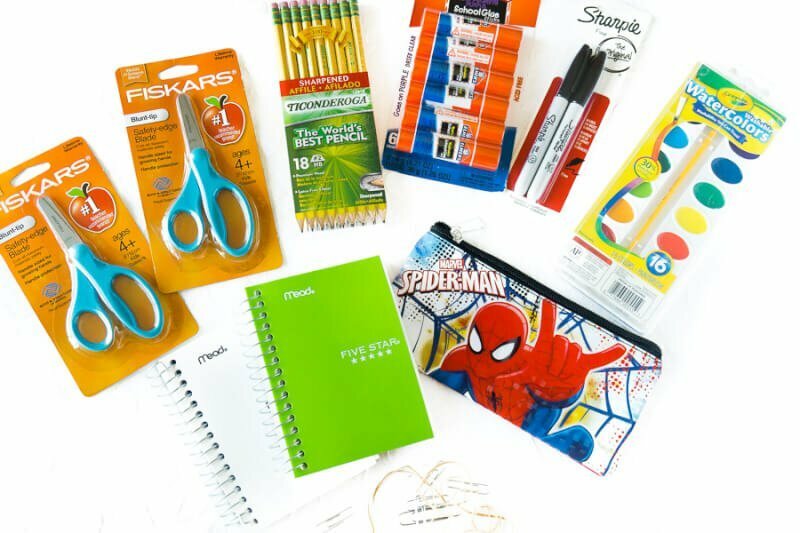 I wrote the clues for this scavenger hunt for pretty generic school supplies including things like notebooks, glue, and markers! 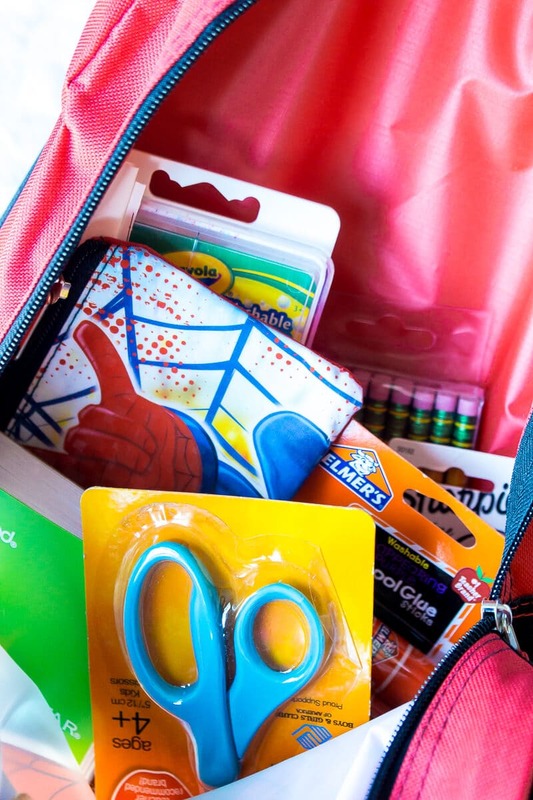 The idea is that you put a clue with each of the school supplies and they can collect their school supplies (and possibly other prizes) along the way! First off, print out the free printable back to school scavenger hunt cards by filling out the pink form below. I created clues for places that everyone should have in their house and that kids would know where to find them. 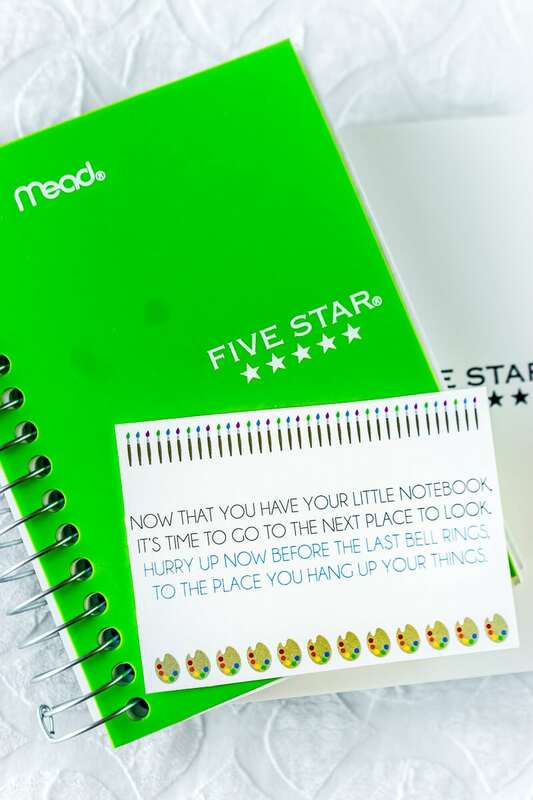 Once the cards are printed and cut out, all you need to do are hide the cards along with the school supplies and other surprises in the places listed on the cheat sheet (included with the scavenger hunt printable). And at the end of the hunt, put a larger back to school gift, like a brand new backpack or shirt that you know they’ll love. If you have younger kids, I recommend putting the items in plain sight in each of the locations mentioned on the cards. If you have older kids, feel free to make it a bit trickier like taping the clue and school supplies under the chair instead of top of it or hiding something under something in the desk drawer. Get creative; the idea is to make this a fun thing for everyone! 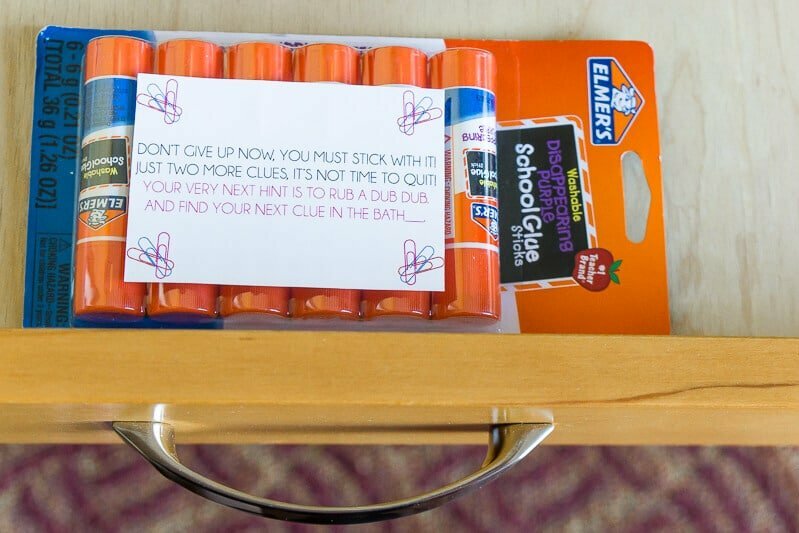 Once the scavenger hunt is all ready, give your kids the first clue and let them at it. And make sure to have your phone ready to take a video, it’s hilarious to watch kids race around the house trying to find the next clue! 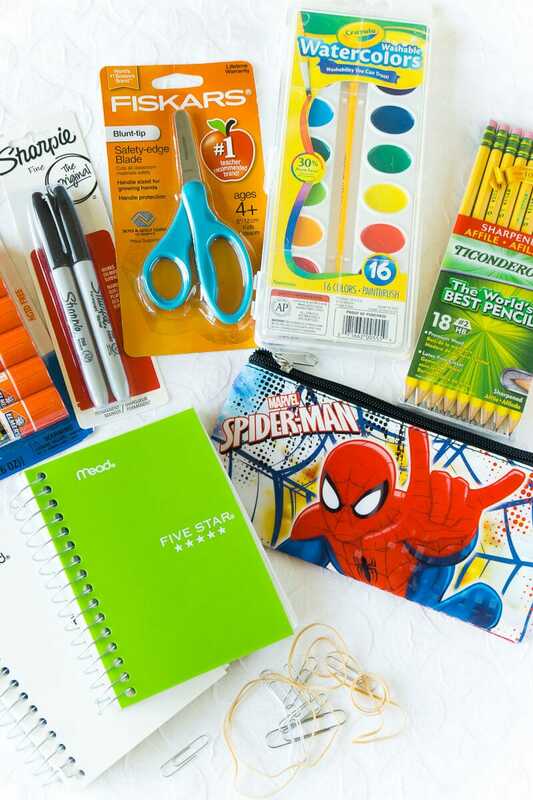 And definitely a more fun way to “shop” for school supplies than the traditional back to school shopping. For any of my scavenger hunts, whether it be my Halloween scavenger hunt, my picnic scavenger hunt, or this one – I highly recommend printing it out on white card stock then cutting right inside the black lines. I included the black lines so you could tell where the card edges were, but they’re not necessary for the card design itself. Printing them on card stock just makes them sturdier and easier to stick in fun to reach places like under chairs! Enter your first name and email address in the form below to get the free printable Back to School scavenger hunt. If you can’t see the form, click here to get to it! After filling out the form, you will be taken directly to the scavenger hunt and receive an email with a copy of the hunt included. 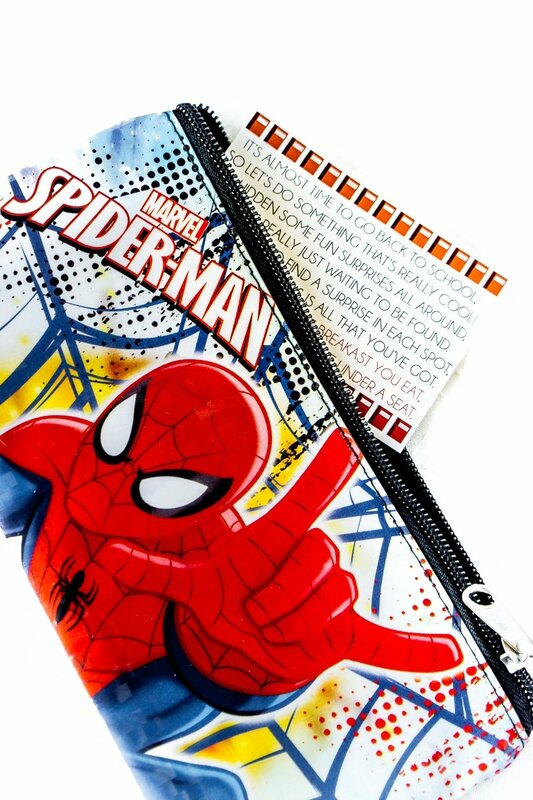 Don’t forget to pin this back to school scavenger hunt for later!